Connecticut currently has six waivers that are open to children. All are HCBS 1915(c) Medicaid waivers. Three of these programs waive parental income; we do not know the status of the others. For general information on Connecticut's waivers for people with developmental disabilities, see this overview or this page. 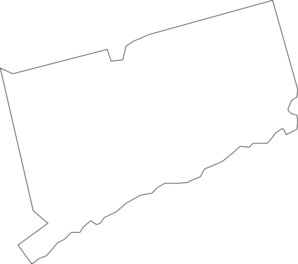 Connecticut also has several adult-only waivers, including ABI, Personal Care Assistance, HCBS for Elders, ABI Waiver II, and Mental Health Waiver. Connecticut has recently begun offering the Community First Choice Option for individuals already on Medicaid. Target Population: Children with physical or other health disabilities. Description from medicaid.gov: Provides case management to individuals with physical disabilities ages 0-22. Waiting List: There are 1649 people with developmental disabilities, 1000 people with physical disabilities, and 204 children on the waiting list in Connecticut. The waitlist time has historically been 6-7 years on average; however, 100 additional spots were added recently. Target Population: Children with autism. Description from medicaid.gov: Provides ABA certified clinician, life skills coach for children with autism, ages 3-4. How to Apply: Contact Autism Services at 860-418-6078. Waiting List: There are 1649 people with developmental disabilities, 1000 people with physical disabilities, and 204 children on the waiting list in Connecticut. Target Population: Children and adults with autism. Description from medicaid.gov: Provides live in companion, respite, assistive technology, clinical behavioral support services, community mentor, individual goods and services, interpreter, job coaching, life skills coach, non-medical transportation, personal emergency response system, social skills group, specialized driving assessment for individuals with autism, ages 3 – no max age. Description from medicaid.gov: Provides adult day health, community companion homes, group day supports, individual supported employment, live-in companion, prevocational services, respite, independent support broker, assistive technology, behavioral support services, companion supports, continuous residential supports, environmental modifications, group supported employment, health care coordination, individualized day supports, individualized home supports, individually directed goods and services, interpreter, nutrition, parenting support, peer support, personal emergency response system (PERS), personal support, senior supports, shared living, specialized medical equipment and supplies, training and counseling services for unpaid caregivers, transportation, vehicle modifications for individuals with DD (ages 18 – no max age), and IID (ages 3 – no max age). Description from medicaid.gov: Provides adult day health, community based day support options, individual supported employment formerly supported employment, respite, independent support broker, peer support, assistive technology, behavioral support services, group supported employment formerly supported employment, individual goods and services, individualized day support, interpreter, specialized medical equipment and supplies, transportation for individuals with DD (ages 18 - no maximum age) and ID (ages 3 - no maximum age). Target Population: Children and adults with intellectual disabilities needing extensive supports. Description from medicaid.gov: Provides adult day health, community companion homes/community living arrangements, group day supports, live-in caregiver, respite, supported employment, independent support broker, adult companion, assisted living, behavioral support, continuous residential supports, environmental mods, health care coordination, individual goods and services, individualized day supports, individualized home supports, interpreter, nutrition, parenting support, PERS, personal support, senior supports, specialized medical equipment and supplies, transportation, vehicle mods for DD (18 yrs - no max age) and for IID (3 yrs - no max age).